Sudanese President Omar al-Bashir on Thursday said his country was reopening its border with Eritrea which had been shut since Jan. 6, 2018. “I announce here from Kassala, that we are opening the border with Eritrea. “Because they are our brothers and our people. Politics will not divide us,” he said in televised remarks before scores of supporters in the town of Kassala, capital of the remote state with the same name. Sudan had shut its eastern border with Eritrea after Khartoum declared an emergency in the neighbouring state of Kasala. “The governor of Kasala issued a decree to close all border crossings with Eritrea from the night of Jan. 5,’’ the official SUNA News Agency reported. 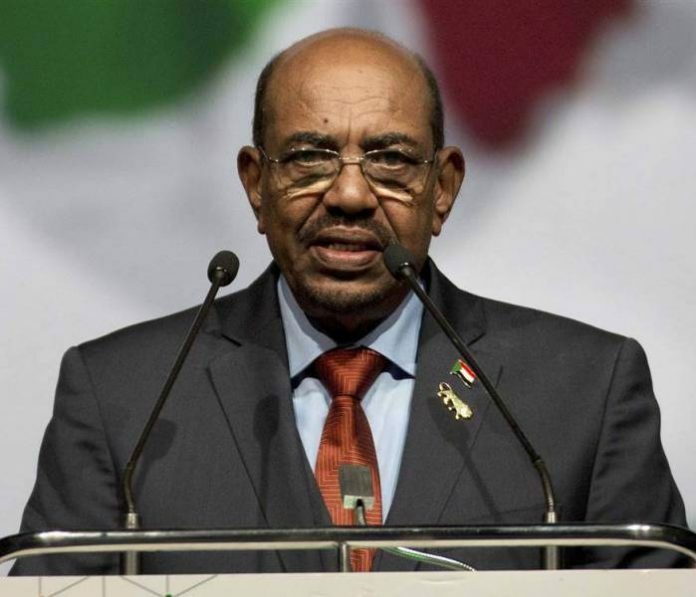 It did not explain why the border was closed then but said the decision came after President Omar al-Bashir declared on Dec. 30 a state of emergency in Kasala and in North Kordofan state for six months. Officials have said that decision was part of a government campaign to collect illegal arms in those two states. A resident of Kasala told AFP that hundreds of Sudanese soldiers, several military vehicles and tanks had crossed through the town toward the border with Eritrea over the past two days. Thousands of Eritreans fleeing a repressive regime at home, cross into Sudan illegally through the border with Kasala every year and later make perilous voyages across the Mediterranean to Europe.